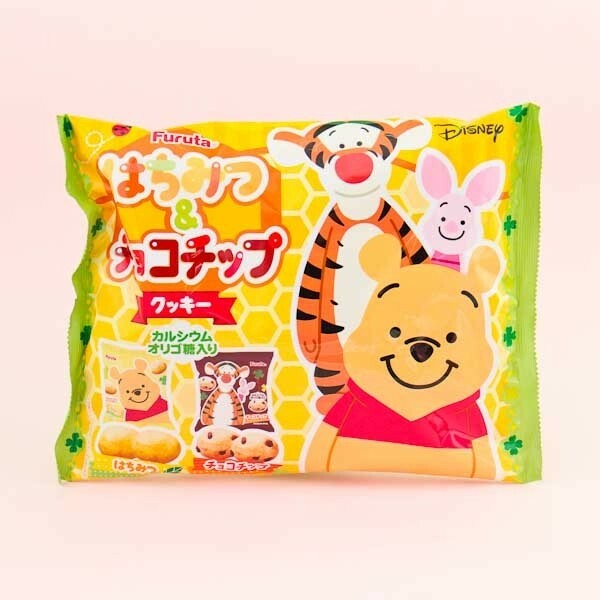 Furuta is known in Japan for their huge variety of different snacks and biscuits. For these biscuits, they have teamed up with Disney's Winnie The Pooh to make the cutest cookies! 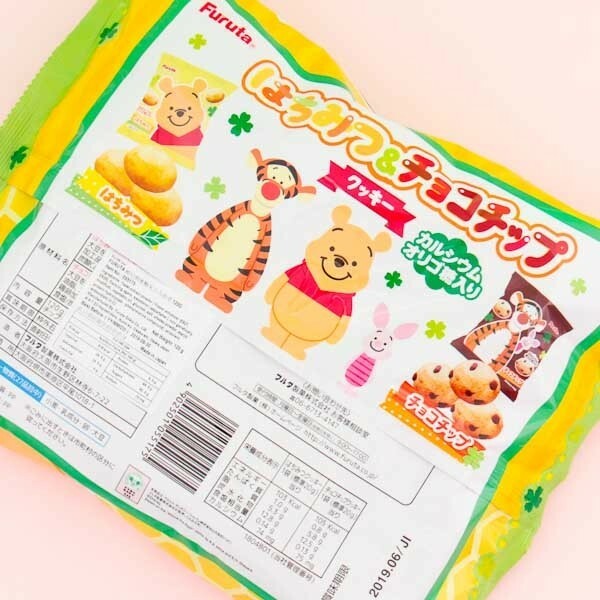 This pack has individual cookie bags with adorable Winnie The Pooh characters on them! 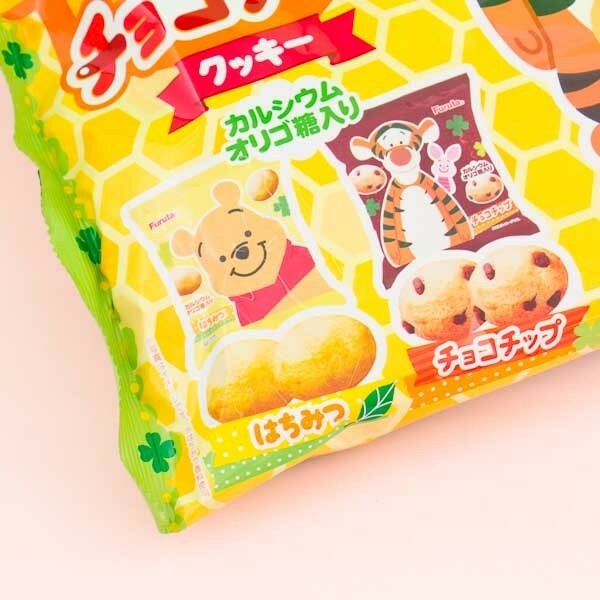 Try delicious honey or chocolate chip flavored cookies. Grab your favorite flavor to-go and share with friends! Yummy!